Understanding Google Analytics scope unlocks how to make the most out of your data, especially any kind of customizable reports. Scope touches everything you do in Google Analytics, whether you know it or not. When navigating Google Analytics with a full comprehension of scope, you’re a force to be reckoned with. What is Scope in Google Analytics? 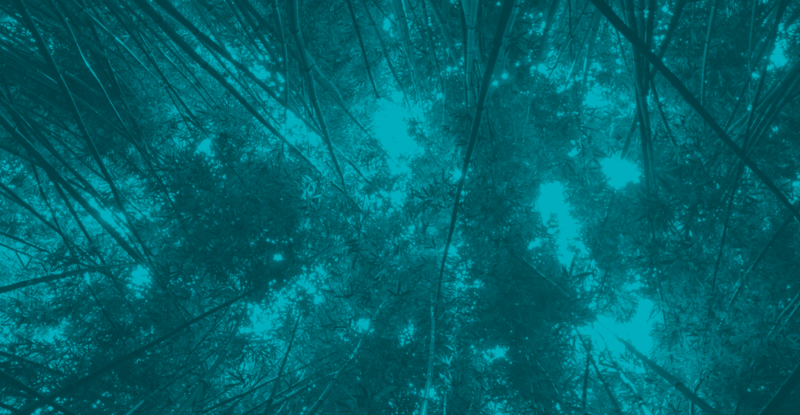 At its core, scope is how Google Analytics collects and formats the data it receives. Scope informs the way that metrics and dimensions are set up. Metrics and dimensions can only have one scope, so it is important to align metrics and dimensions on the same scope level, or else reports will be mismatched. But Wait … What’s the Difference between Dimensions and Metrics again? Dimension: These make up the descriptive aspects of your data. Things like Page, Landing Page, City, Device Category, and Source / Medium are all dimensions. Learn more about dimensions and how to use them here! Metric: Metrics are the measurements made against these dimensions. Things like sessions, pageviews, and bounce rate are all metrics. 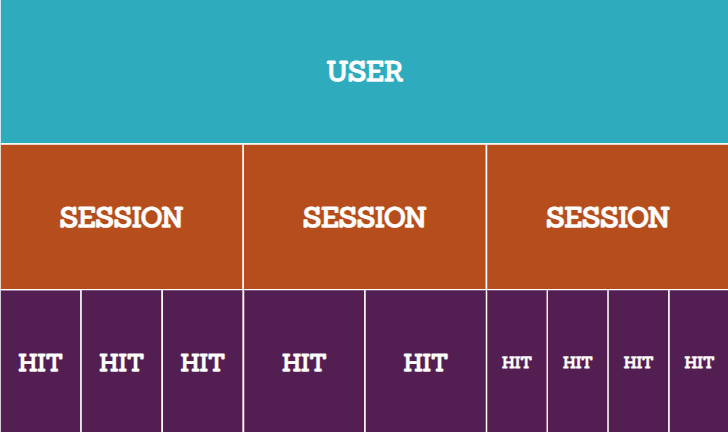 User = Looks at data in terms of a user’s aggregated sessions and hits (pageviews). Session = Groups the component hits throughout one viewing session. This will track a full “session” as a time a user enters the site until they leave, with all subsequent hits within it. Hit = Captures each view / interaction on the site. Product = Product scope is specifically for ecommerce use. Shows behavior by specific product, like product transactions or product revenue. It’s very easy to mismatch a dimension/metric combination that are different scopes. This results in inaccurate data in custom reports and visualization. Let’s dive into scope a bit deeper. Scopes make up a hierarchical structure – hits ladder up to sessions, and sessions ladder up to users. The image below visualizes this. Think of scope in Google Analytics as a way to understand a journey, your data road trip, so to speak. What Is User Level Scope In Google Analytics? Say you’re beginning in Philly and you’re taking a road trip with an end destination of San Diego. During this road trip, the full journey will be taken by you, the user. Throughout the whole trip, you consume 14 lattes to stay awake on the road, stay at 8 hotels across the USA, and make 5 wrong turns. These numbers are an aggregate of the actions of you, the user. A user on a website will have a similar journey. Say you have a website that sells concert tickets. A user can find your website searching for concert tickets, but leave the site without purchasing. However, after many return visits and considering their funds and competing ticket prices, eventually they decide to purchase the tickets. At that point, this user may continually return to your site to check out what other concerts you have to offer. All of the data points picked up about this user will be user scoped throughout their lifetime on your site. User-level data is collected in Google Analytics by storing a client ID. Google Analytics assigns a random number from the Google Analytics tracking code named client ID for each user that visits your site. This client ID is stored in a cookie on a device’s browser. One caveat to clientID is that as cookies are aligned with browsers and not people, a user using different browsers will be registered as different users. In other words, a user navigating a site on Safari on their iPhone would register as a different user when using Chrome on their personal computer. 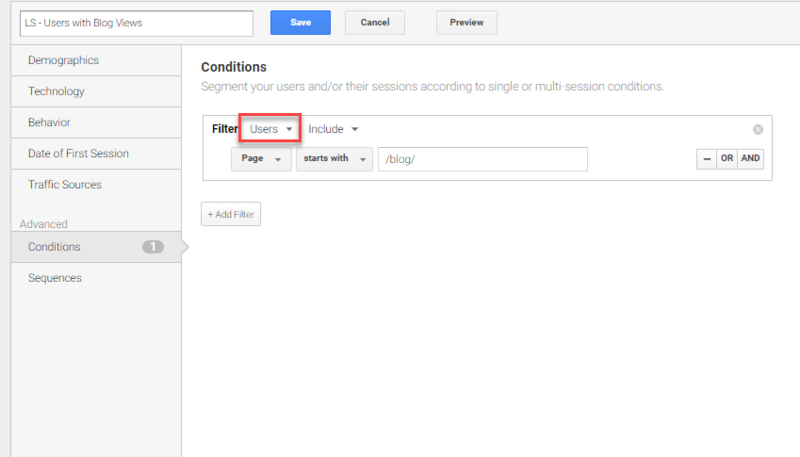 What Is Session Level Scope In Google Analytics? Your first couple of stops are to Pittsburgh and subsequently Chicago. 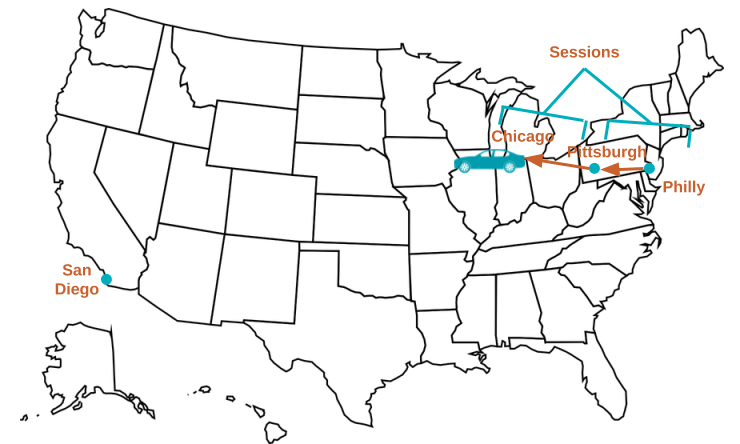 You can think of each section of your drive as a session: your drive from Philly → Pittsburgh, and your drive from Pittsburgh → Chicago are their own sessions. In your first session as a user on this road trip, Philly → Pittsburgh, you make sure to take one pit stop at a Wawa before you enter Sheetz territory, and also stop at a ChickFilA near Harrisburg. 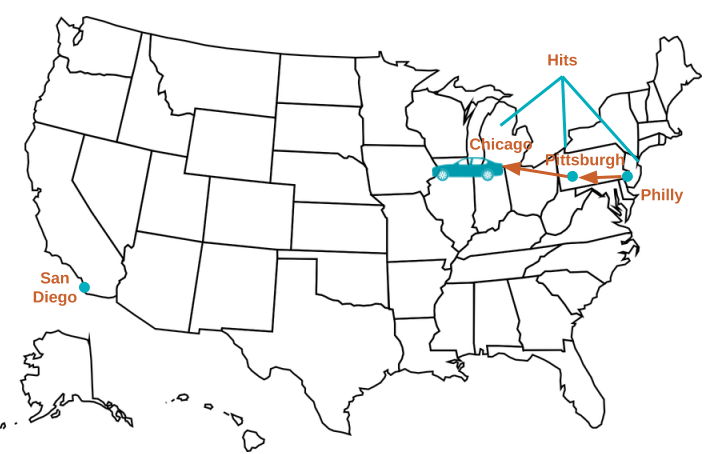 Your session consists of 3 hits – your 2 pit stops and reaching your destination of Pittsburgh). Similarly to your road trip, a user in a session could enter your site, visit 3 pages, and exit, comprising one session. What Is Hit Level Scope In Google Analytics? Each stop you make along your cross-country trek is a hit. You spend one night in Pittsburgh, and in Chicago, you stop at Pequod’s for some deep dish pizza and spend two days. Each stop piles up to build up a total number of stops, or total number of hits. As a website user, all stops you make on a website make up your total hits. When navigating on a website, any page you explore in your user journey is a hit. Hits are made up of actions such as pageviews and events. For example, a pageview of a homepage would be a hit. Any action that is set up as an event in Google Analytics would register as a hit. So, if there is event tracking set up to fire when a user clicks on a CTA, this would register as a hit. What Is Product Level Scope In Google Analytics? Finally, the products you’ve purchased throughout this trip are a part of your Product Level scope story. The amount of times you stopped for a snack, how much you spent, these are all scoped at the product level. Those 14 lattes you purchased are within the product scope. When understanding how Google Analytics creates its standard reports or custom tables, it’s necessary to understand how scope affects which dimensions and metrics are in each report. 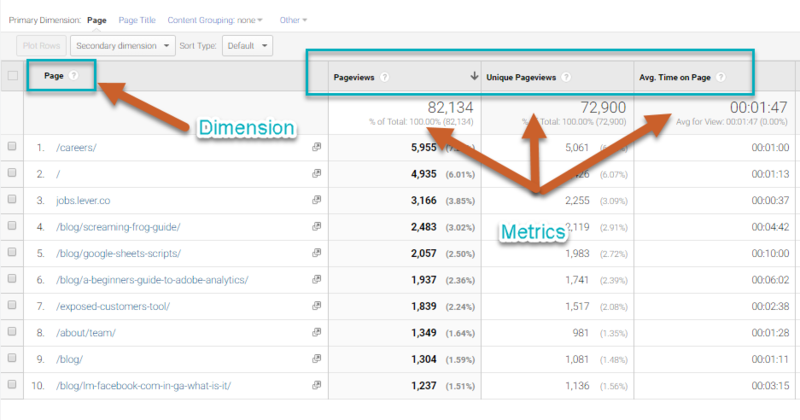 Not all metrics can be combined with all dimensions because of how Google Analytics interprets scope. For example, when looking at the All Pages report in Google Analytics, you’ll see pageviews, but not sessions on each page. This is because pages themselves don’t have sessions – remember, pages are like stops you make along your road trip. The All Pages report is is a hit–scoped report, thus the representation of “pageviews” rather than “sessions” as a metric in the report. More on that below! You should not look at sessions by page. Pages, as shown above, are scoped at the hit level. This is because only the first page in an interaction is counted towards a session. Google IDs the first page viewed with the session count. Therefore, when showing sessions by page, it’s actually showing by landing pages. In our last point, we showed how sessions are logged at the first page a user hits on your site, aka the landing page. Because of this, the Landing Page report in GA shows landing pages by sessions. Something to keep in mind: all Landing Pages = Pages but not all Pages = Landing Pages. How does that happen? Well, the Landing Page report is session-scoped. It shows the page from which visitors entered your site, and how they behaved and converted after landing there. Why? 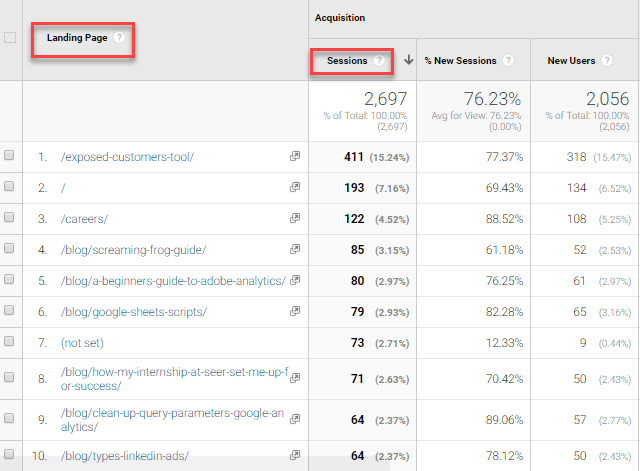 Remember, Google Analytics tags a session by the page a user landed on. This can be tricky after we just discussed how pages are hit level scoped .. so think back to our road trip analogy. A road trip begins from the Location where it was first started. So your first “landing page” could have 1 session, but overall there might be 100 sessions landing there per week. The landing page is all about the start of a session. Pay close attention to which scope you choose when setting up advanced segments in Google Analytics. There are fundamental differences between Session and User segments. Since segments can be either user or session level, the same segment can mean two different things depending on how it’s scoped. Check out the following example of two segments for blog content viewers that demonstrates this. This segment contains sessions in which a blog page was viewed. This segment contains pages viewed by users who had viewed a blog page at least once in their lifetime. You’re right — but remember: the segment is scoped to show the top pages of users that have viewed blog content. It’s no secret that a users’ behavior is different based on their entire lifetime journey on your site, versus in just one session! A potential case for user segments? They’re useful if you want to be able to analyze what else blog readers engaged with in addition to the blog. When you possess a full understanding of how Google Analytics collects and interprets your data, you can’t be stopped. On the other hand, misinterpreting things like scope can lead to inaccurate reports and analyses, which can be very dangerous. No matter where you are in your Google Analytics road trip, keeping scope in the back of your mind will result in a safe trip and smooth sailing to your data destination.